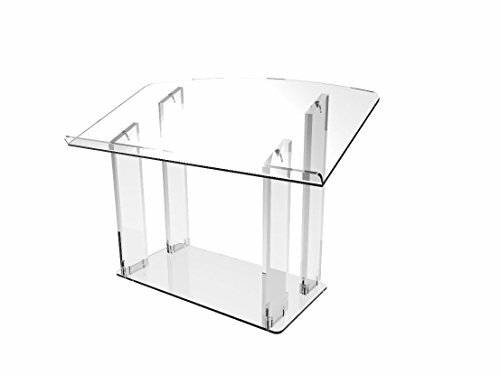 This beautiful clear tabletop/desktop lectern podium pulpit features 1/2" base, top and four 3/4" legs for superior stability. Ideal for churches, hotels, universities, colleges and conference centers, where a outstanding acrylic, podium, pulpit, lectern is needed. Also perfect for a small room presentation. Manufacturer direct to provide most competitive price! Feel free to contact us if you need any other display items. Return policy: 14 days return. Must be in original packaging.